When you have a problem of breakage or blockage in the drain pipe or water line in your home, it is obviously, you as a home owner has to take the responsibility of that repair or replacement work responsibility. But the drain pipes which are a little far away from your home, then it is a little confusion, about who’s responsibility it is, to get the repair work done. We can not expect that everyone will have detail information about this. Which is why, we are here to help you out, when the sewer line repair is your responsibility as a homeowner and when it the responsibility of your municipality you live in. What separates the responsibility of sewer line work from privet to public? Sewage pipes are the responsibility either of home owners (privet) or of the water company (public). If you are confused, the best way to find the solution is to consult some sewer cleaning service company in Farmingdale, NJ or your local government authority. They would be the best people who will guide you as they have the map which has all the details with all breakdowns of the sewage pipe lines of your home as well as, in and around the city area. If you are not aware, let me add this to your knowledge, the age of the pipes also decides about under whom they fall, whether they fall under the water company or under you. This is for your information that, privet sewer lines are lying from your home to the place from where the public sewer line gets start and these privet sewer lines can be repaired or replaced only by licensed sewer plumber who will conduct the sewer drain repair or cleaning. When you get to know, the problem of sewer line is arising from the main sewer line, you can always approach to the public water utility company whereas if the main cause of the sewer problem is in your home or some privet sewer line, you need to approach the privet sewer company who provides the sewer drain cleaning services for you. Not by the traditional methods but repairs can be done by the advance method of trenchless technology, where the sewer work of repairing, replacing or cleaning can be carried out. This method is very cost effective when your money is concerned, the landscapes of the home owners do not get disturbed and this method is not time consuming. Do not wait till the last-minute chaos. 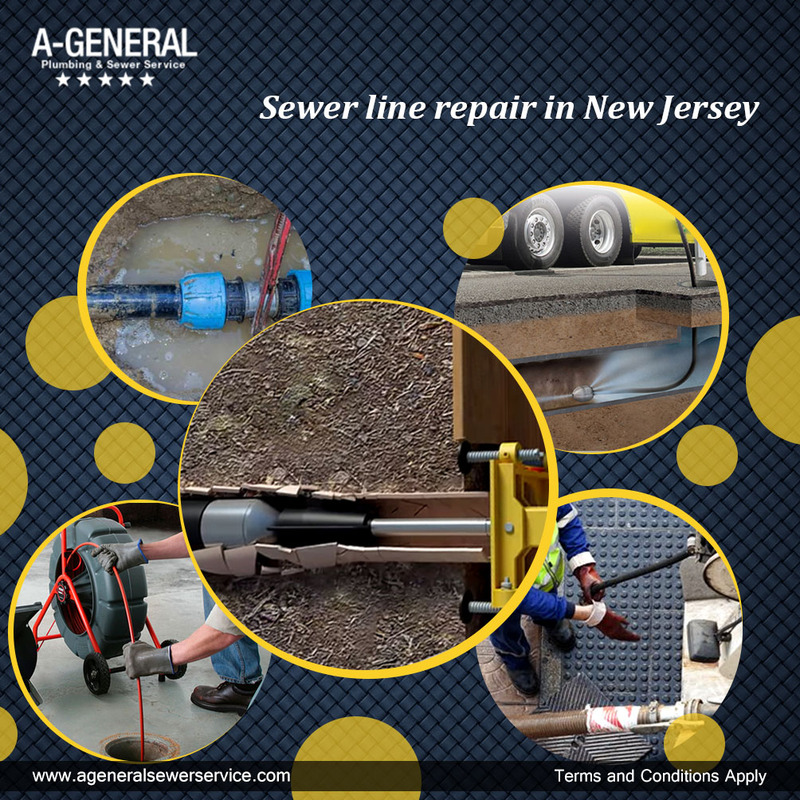 When you notice some signs of broken sewer lines or whenever you feel that you have a sewer line problem and you need the professional’s assistance, you can contact A-General Plumbing & sewer service, NJ. Our efficient team members are available 24×7 at your service to provide a stress free and quick service for sewer line cleaning, replacements and repairs whatever required. Our team of technicians will get the job done in apt time.